Morning Gwyneth, I hope you have a wonderful day. Love the beautiful card you are entering into the challenges. The other cards and bookmark are fabulous. 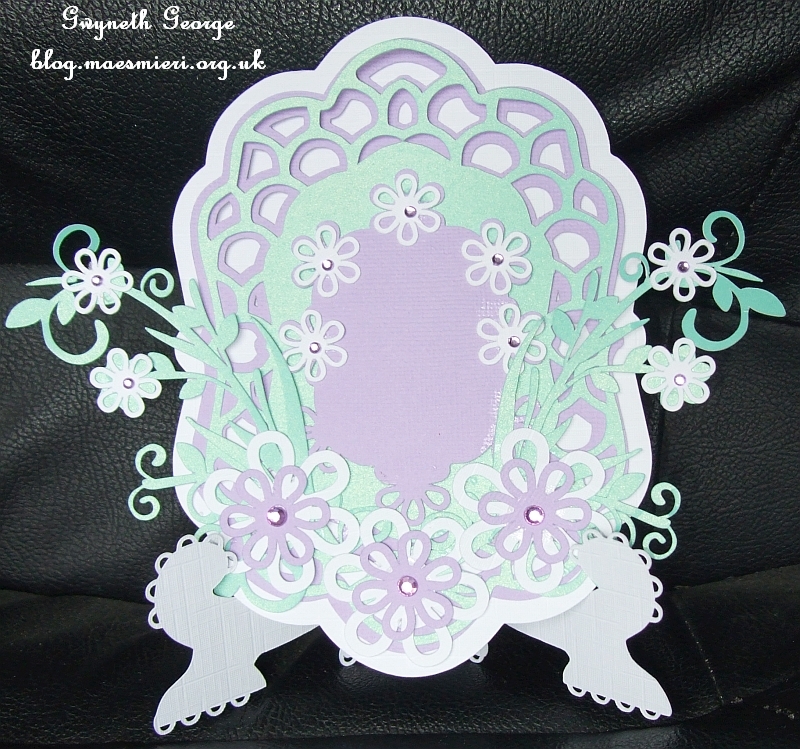 Really love the colours and die cut details on your creations Gwyneth. 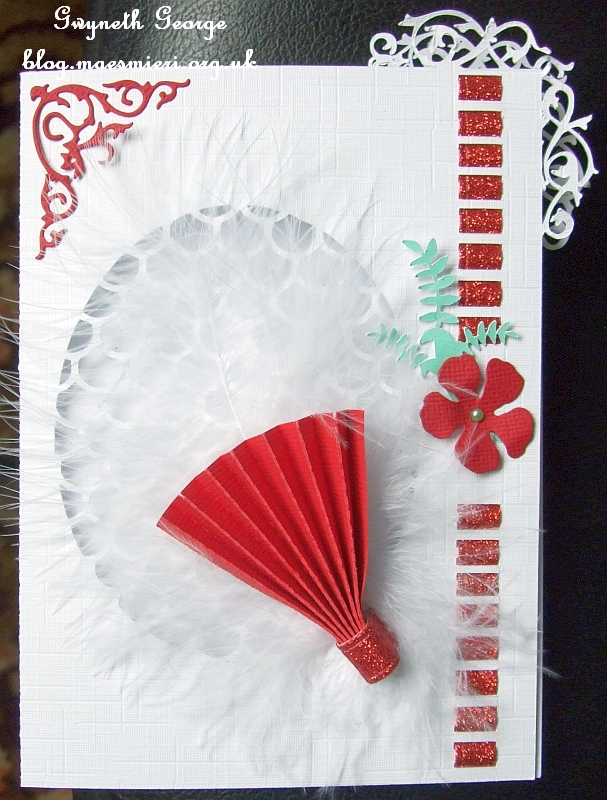 Beautiful card Gwyneth! Those ornate borders are stunning! Thaks for joining the TTCRD challegnes. 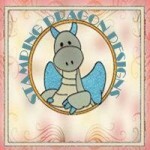 Flying round the blogs tonight playing catch up on all the wonderful creations! Great selection of cards – up to your usual standard! I love the first one so much. 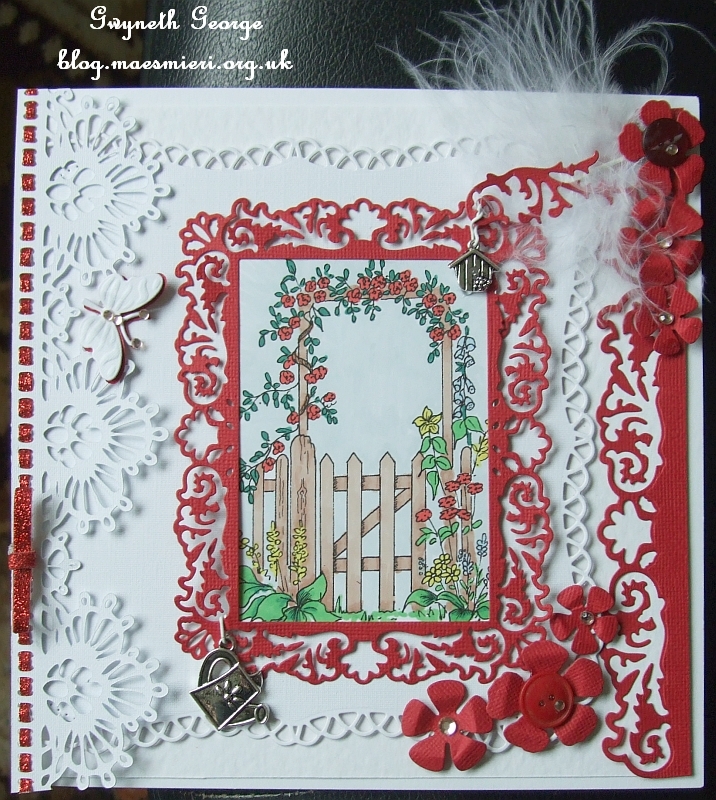 Beautiful colours, image and just love that border – excellent!! wow love the first card is very beautiful Gwyneth the other cards are very pretty. 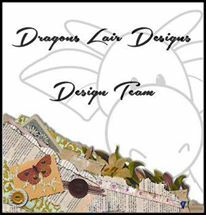 Fabulous card, love the die cuts and great colours, thank you for joining us for the Crafty Bloggers Network Challenge. Thanks for joining us for Di’s Digi Challenge & Good Luck! 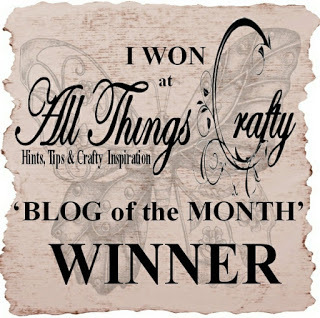 This is beautiful, thanks so much for sharing it with us at Crafty Bloggers and good luck! Great card, love the colours and texture of the card. 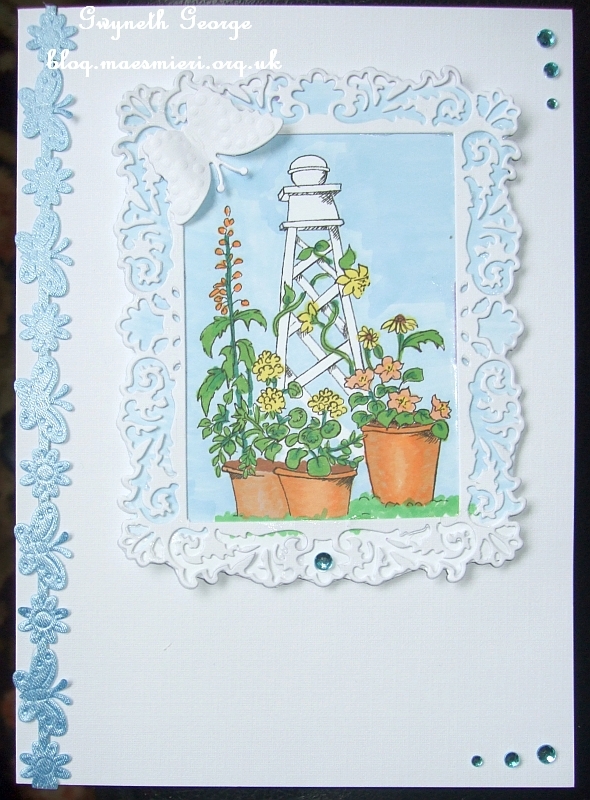 Thanks for joining us at Crafty Bloggers Network in our Bright & Breezy Challenge. Gorgeous dies you used! Such an elegant card! Thanks for joining us this week at Creative Card Crew! Love the die cutsThank you for playing along with us at crafty bloggers network.